To choose other currencies, go to the E-commerce area found under the Settings tab in the editor. 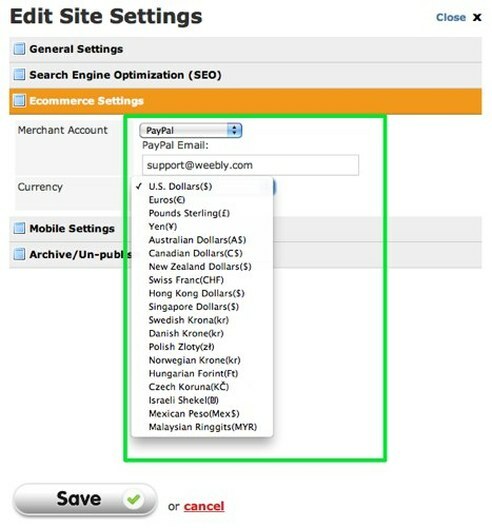 If you're using PayPal, you'll have the option to choose from a drop down list of currencies (sorry, but Google Checkout is currently limited to the US Dollar). Save and then Publish the site after you make the change. If you're currency is not represented in the list, you'll need to create your own custom add-to-cart buttons through PayPal.